I was in Australia for Christmas and New Year, after Brisbane I went to Melbourne. I ended up spending and four days there. Melbourne is Australia’s hub of live music and I found it like some parts of London. The similarities are the cafes, restaurants and bars and quite a few hipster people. It’s basically a hub for young trendy professional people. 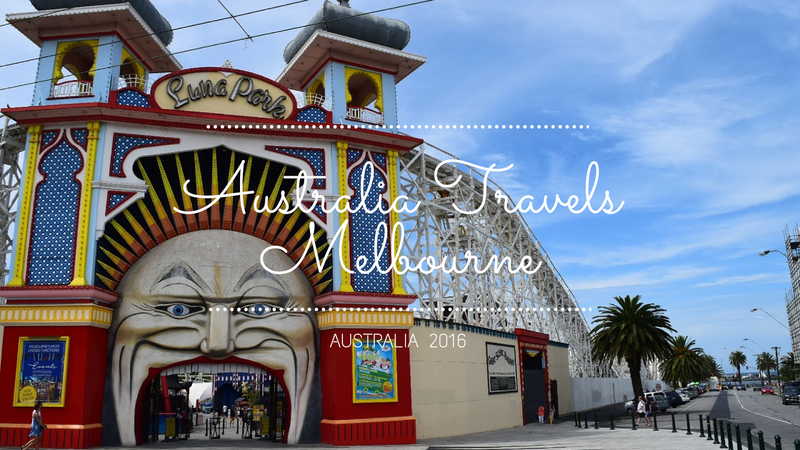 There are plenty of activities to do in Melbourne from art exhibits to live music, bars and restaurants. I also found in Saint Kilda you can go and see wild penguins. I would suggest spending around four or five days in Melbourne if you are travelling around Australia to get the full benefit. The city has a public transport network based around trains and trams you can buy the equivalent of an Oyster Card, to find out more info click here, it’s called a Myki card. 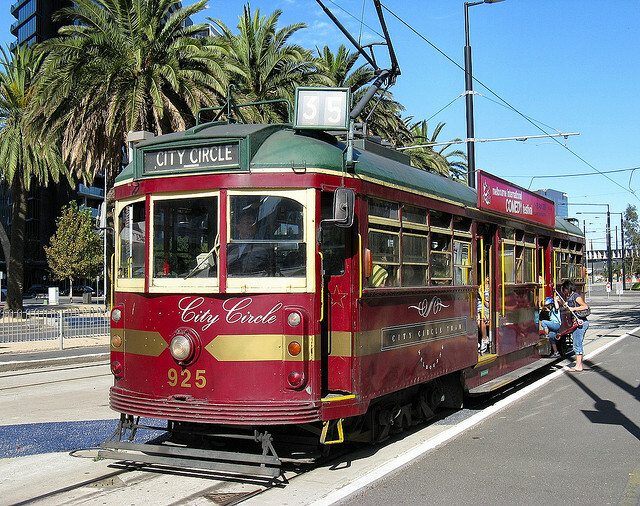 This is a free tram that can be used around central Melbourne to get between sightseeing or tourist attractions. It’s really helpful and they also have audio as you get to different places so you learn about the area while you are travelling. This is the southern hemisphere’s largest open air market. To give a comparison it’s similar to a much larger version of Borough Market in London. Victoria Market is a historic landmark and has been going for over 100 years. I went there with a friend to pick up supplies to make some nibbles for New Year’s Eve. There are so many different types of food and I had a great time. Docklands is an area with lots of shops, bars and restaurants with a stadium next the water. You can sit here and chill in the sun. I had some drinks and a really nice bar and just people watch and it was really cool. As well as being the night life capital of Melbourne, St Kilda is also a place to go for cheap restaurants, bars and lots of clubs. It basically the hipster place to see and be seen. Far more importantly there is a beach with a pier you can walk along. At the end of the pier sometimes you can see wild penguins! I really enjoyed going for a walk here and going around the marina and seeing the boats. I just really wanted to have seen penguins too! This bar is really central and I went twice, once the first day I arrived in Melbourne and also for New Year’s Eve. NYE we went to the rooftop bar where we saw in the New Year watching the fireworks and dancing the night away. This is a great place with a cool vibe. FAD Gallery and bar is near Chinatown and where I went with some new people I met Brooke and Chris. 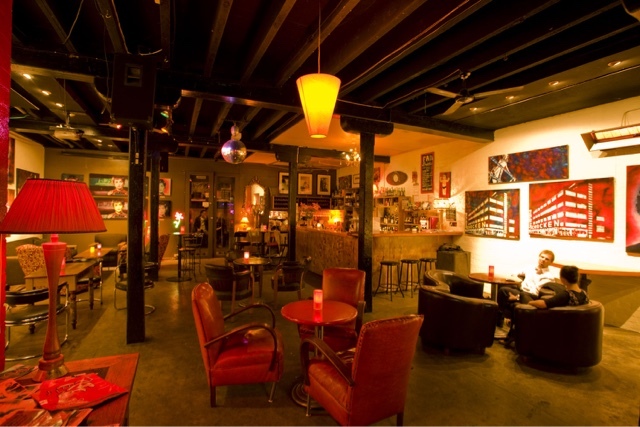 They were so nice to take me on a night out and the bar is very eclectic with lots of artwork. The owner Johnny is a total legend with lots of funny stories. I had a really amazing night out there and I would recommend you go there if you are ever in Melbourne. It’s a fabulous bar with cool people and not to be missed. I was taken to this cafe by Brooke after we went to the Victoria market and I was absolutely starving. So I went for a nice grilled breakfast with lots of veg and mmm mmm it was delicious, awesome coffee too. If you ever get a chance to go to Melbourne you definitely should and if you’ve been to Melbourne or are from there please to leave in the comments section any recommendations that you think people should go to.